I’d gone up there a few days before to find out more and ended up signing up on-the-spot as a volunteer, delighted to have found a place right here in Marbella, where I can become actively involved in a project that aims to take the concept of sustainable living out of the textbook and make it real for the ordinary urban dweller through various educational courses and environmental initiatives, including an organic farm, an apiary, the creation of a conservation forest for the endangered native cork trees in which over 22,000 trees have been planted to date and the two plots of land, dedicated to growing organic produce, in which over 130 local species are being cultivated in the 110 existing 45 m2 urban allotments. 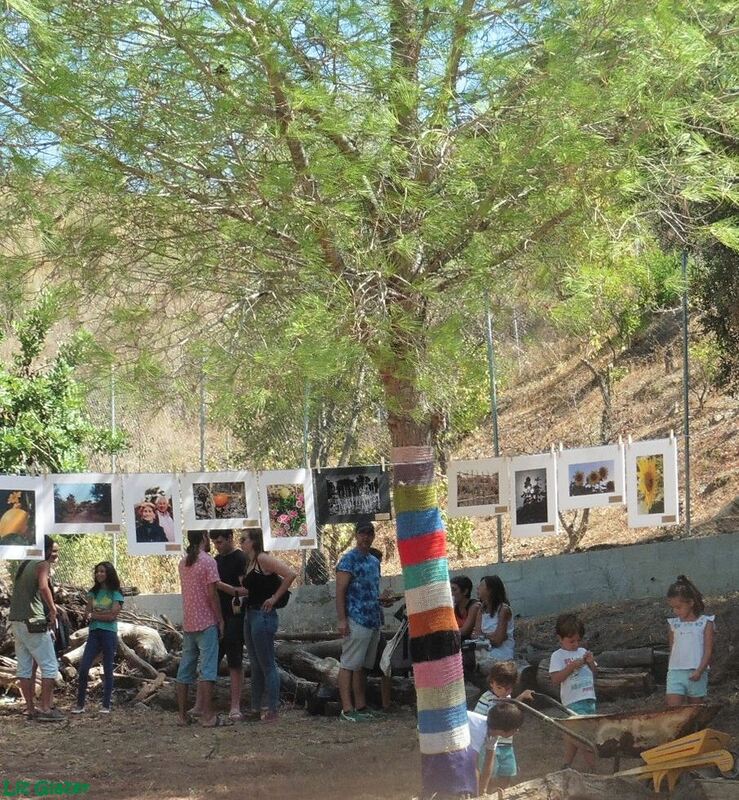 When I arrived, I spent some time with Ecologist and founder of this fantastic green living experiment in Marbella, the passionate and engaging, Alejandro Orioli, helping him to hang up the photographs entered by members of the local community in the Arboretum “Green perspective” competition, aimed at encouraging local people to spend time in the allotment grounds, capturing images inspired by their surroundings. I asked him how the concept for this ambitious sustainable living project had come about. “Simply by taking action” was his reply. 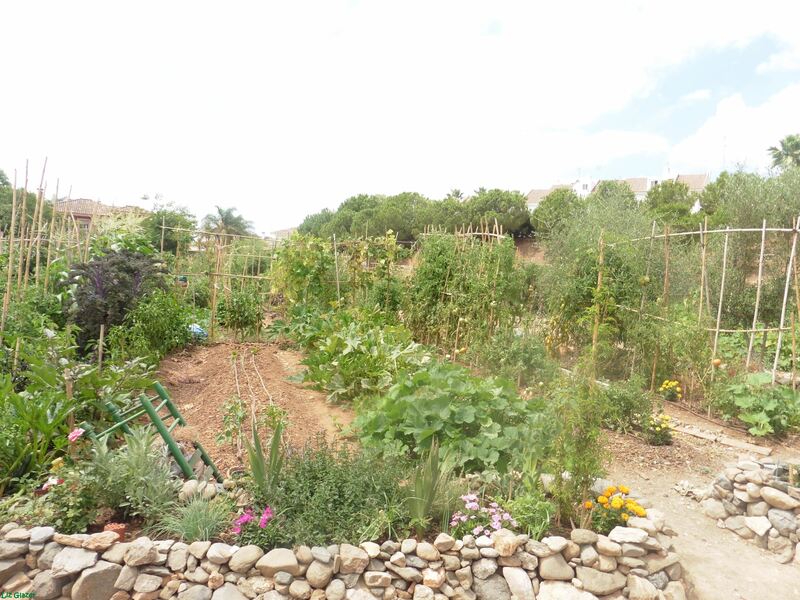 It’s amazing to think that the grounds in which we now stood, swathed by the edible goodness of the organic allotments, were an abandoned waste-land only 8 years ago – but sure enough, by taking action as Alejandro said, projects were submitted to the relevant authorities, the land conceded to the Foundation for 60 years by Marbella Town Hall and the whole process of reclaiming and bringing life back to barren wasteland began. “And all this has been achieved with a team of just over 20 volunteers. We hope that by showing people what’s possible when you put your mind to it – that this type of initiative will have a roll-out effect and be taken up by others,” Alejandro explained. 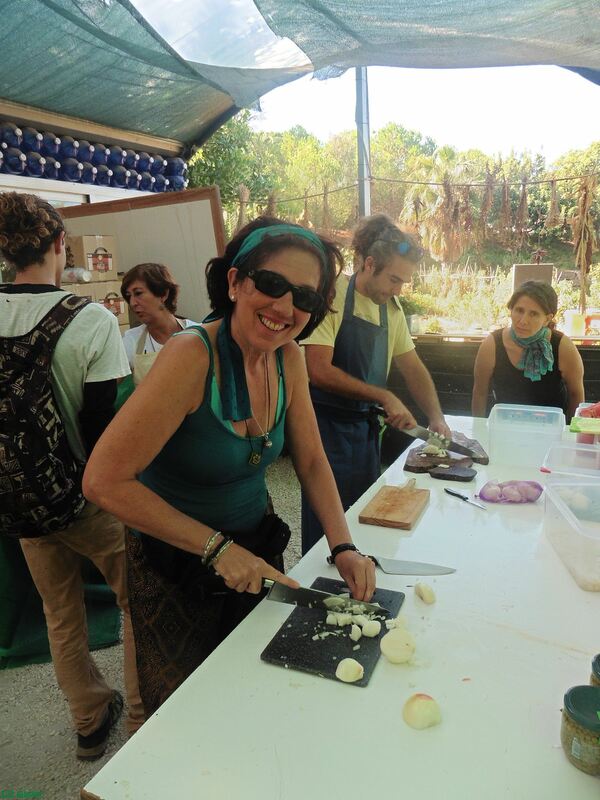 I’d been assigned to prepping duty in the make-shift kitchen that had been set up in the greenhouse (built from scratch using recycled materials) and spent the next couple of hours joyfully chopping organic vegetables from Arboretum’s allotments which were then used by organic chef Javier, to create a giant vegan paella and a mound of salad. I took time out to wander around the stalls selling organic honey, artisan arts and crafts and medicinal herbs and organic garden seeds, absorbing the gentle ambience, as children played on scattered straw bales and people of all ages milled about and sat and chatted under the shade of the trees, listening to the mellow music of a live band. 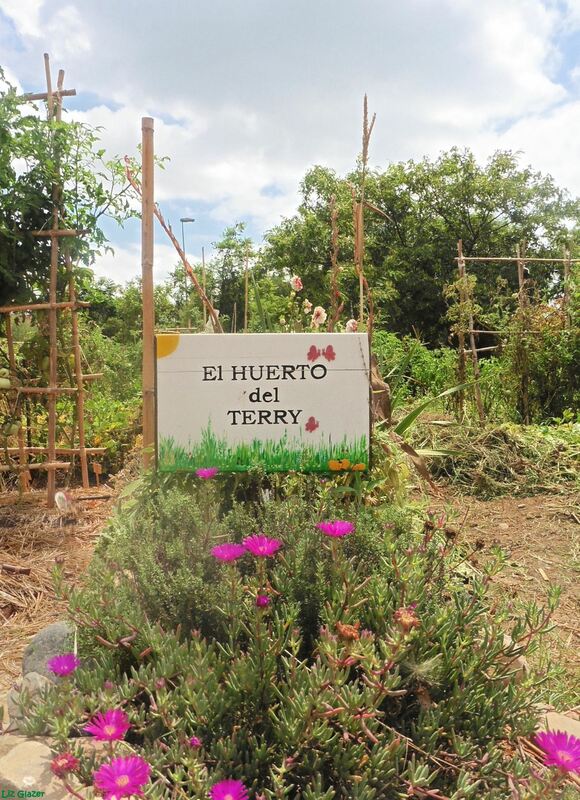 Alejandro took a group of us around the Arboretum Park plot and vegetable gardens, explaining how this space was intended as a living “green” experiment, one to which people could escape from the concrete of their urban surrounds and reconnect with nature, for in so doing, we all become aware that we are a part of it. 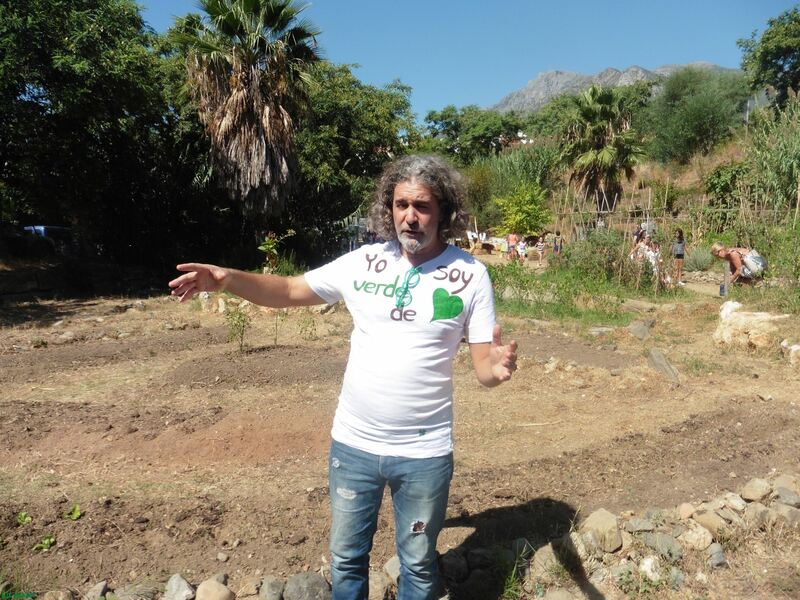 He explained the basic principles of “permaculture”, at the core of the various projects the Foundation is putting into practice, which in very simplistic terms, is a philosophy of systematic planning of land use to create agricultural production systems for local communities that work in harmony with nature instead of against it. (If you´d like to have more of an in-depth understanding I found this great article which explains it very clearly https://modernfarmer.com/2016/04/permaculture/). He showed us the composter that shredded plant and tree waste turning it into mulch to feed the soil, and the award winning dry toilet, the only one of its kind in Spain to be installed in a public park, again built from scratch by a team of volunteers using only natural materials that would decompose, leaving no trace of the structure if abandoned. He explained that in October the organic allotments would be allocated for free during the period of one year, to local residents and one local school, thus encouraging local involvement, social cohesion and collaboration, by bringing together people of all ages and social backgrounds to learn from the land and each other. And then I was back “on duty” – stopping off to make myself a deliciously refreshing watermelon juice, by pedalling away on a bike-powered blender, before sampling the delicious paella myself and helping to serve food and locally-produced organic craft beer to the general public. I had to leave before the end of the event – but am looking forward to learning more about the projects spearheaded by the Arboretum Foundation in the coming weeks and months and sharing my findings with you. 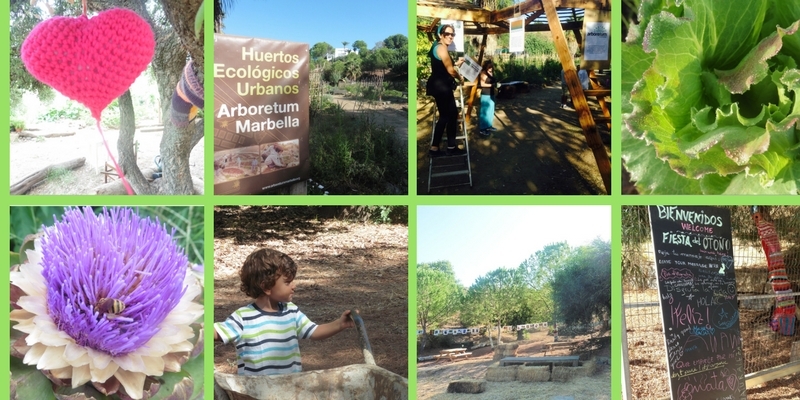 For now, I´m delighted to have embarked on my personal green journey of discovery by signing up as a volunteer and becoming a part of this fabulous forward-thinking environmental initiative in Marbella.